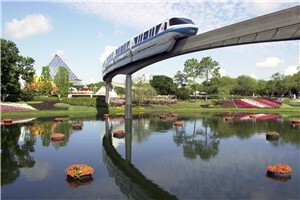 LAKE BUENA VISTA, Fla. – Spring 2015 will burst onto the scene at Walt Disney World Resort with a fresh take on lush gardens, inspired flavors and lively entertainment during the 75-day Epcot International Flower & Garden Festival March 4-May 17. New Disney character topiaries will salute the blockbuster animated film, “Frozen” and offer colorful selfie and family photo ops. Eleven Outdoor Kitchens with “grow your own” gardens will tempt taste buds with sweet and savory bites. Pop musicians with hits spanning four decades and multiple genres will debut the Garden Rocks Concert Series each weekend. And special weekend festival events will offer surprises for families, art lovers and gardening buffs. •“Frozen” will melt hearts at the park’s World Showcase Plaza: Disney’s first Ana and Elsa topiaries will appear in a garden vignette from the Oscar-winning film’s finale. The garden will pop with color as the icy “Frozen” world, illustrated with white and silver blooms of delphinium, alyssum and other flowers, transforms to a brilliant spring palette featuring Gerbera daisies, petunias, Sweet William and other flora. 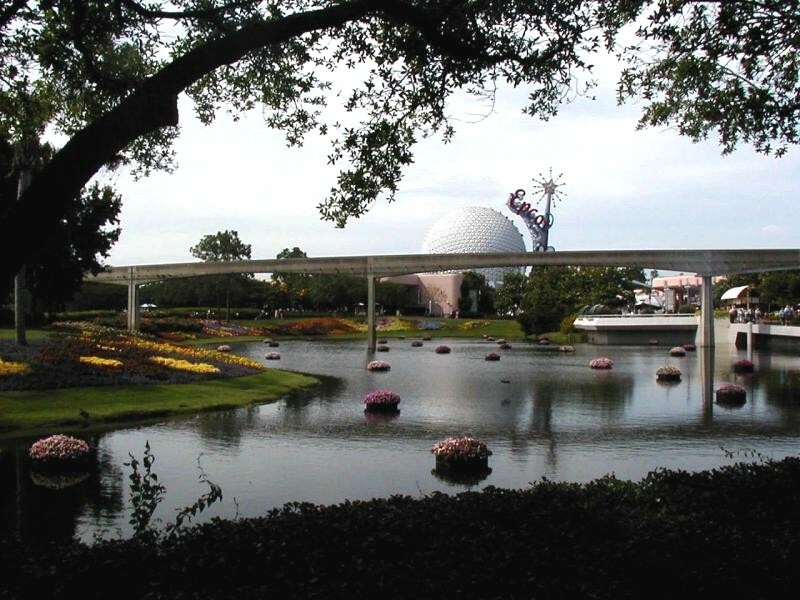 •Other brand-new Disney character topiaries will be Chip and Dale taking a star turn in two whimsical Epcot front-entrance “Goofy About Spring” floral vignettes. Topiary Goofy, Daisy and Pluto will be in on the fun. •Fresh new menu items will debut at the festival’s 11 Outdoor Kitchens. The new Botanas Botánico Outdoor Kitchen between France and Morocco pavilions will showcase treats like Cachapas with Farmer’s Cheese, a sweet yellow corn pancake, and Seafood Ceviche with shrimp, scallops and grouper with mango and avocado. Guests can sip the new La Tizana, a non-alcoholic punch finished with fresh fruit that can become an adult beverage with a splash of Santa Teresa RHUM Orange Liqueur. •A Southwest desert garden will premiere as a thriving ecosystem. •Ten new gardens will surprise guests around every corner. Guests will discover a gnew healing-and-health garden, a pepper garden, a dinosaur-plant garden and a Shakespeare garden, among others, each designed with a storytelling element. •Guests can follow the story of the Monarch butterfly’s epic journey across the continent and see butterflies emerge from their chrysalises to flit from plant to plant at the Butterflies On the Go exhibit in Future World. •The Garden Rocks Concert Series will keep crowds rockin’ every Friday, Saturday and Sunday on the park’s America Gardens Theatre stage. Little River Band, Pablo Cruise, Gin Blossoms and Village People join the lineup of top bands representing four decades of pop music. •Special weekend festivities are slated: March 13-17 Spring into Spring Weekend with a nod to St. Patrick’s Day; March 27-29 Art in the Garden Weekend with outdoor art displays; April 17-22 Earth Day Weekend with nature activities for kids and families, Disney’s Animal Kingdom specialists April 17-19, and a sand-sculpture creation to showcase Disneynature’s soon-to-be released “Monkey Kingdom” film; and April 24-26 Florida Fresh Weekend featuring a bounty of edibles and other plants that thrive in Florida. •Disney gardeners will lead weekend how-to Gardening Seminars and workshops at the Festival Center, where guests also can pick up signature festival merchandise. •When the sun sets, illuminated topiary and play gardens will glow brightly for an after-dark festival experience. As park guests nibble on inspired Outdoor Kitchen goodies, they can wander among multiple themed gardens and children’s play areas. Nearly 100 expertly crafted topiary characters, including Snow White, Bambi, Mickey Mouse and Peter Pan, will animate the landscape when Epcot transforms to a vibrant wonderland of sweeping floral beds and exhibits. Children can clamber around play gardens featuring state-of-the-art climbing equipment and hands-on activities in Mike & Sulley’s Monstrous Garden and The Living Desert Road Rally Garden with Mater and Lightning McQueen topiaries. A Healing & Health Garden near The Land pavilion in Future World will display ancient medicinal plants including garlic, aloe, chamomile, fennel, mint and others. Plants used to develop modern prescriptions will be papaya, periwinkle, turmeric, yew, thyme and valerian. And the new Shakespeare Garden at the United Kingdom pavilion will feature roses to represent Romeo and Juliet. Also in the garden: rosemary from Hamlet, lavender from The Winter’s Tale, plus representations featuring poppy, lily, honeysuckle and willow. Spaceship Earth Flower & Garden Wallpaper. Special thanks to everyone who contributed photos for this page.